Stephen McBean's Pink Mountaintops came back to life this year with the release of their long-awaited Get Back LP, but fans can look forward to even more music in 2014 from the crew. A new two-song 7-inch was delivered today (November 24) through French fashion line April77. 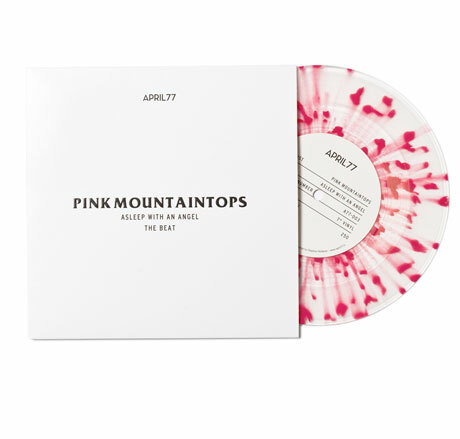 The limited-edition release, pressed onto pink splatter vinyl in a run of 250 copies, contains two exclusive cuts. The A-side features a new tune called "Asleep with an Angel," while the flips hosts a number called "The Beast." It's unclear if the songs were tracked in the same sessions as Get Back, but you can sample a slice of fuzzy, sockhop-styled music taken from the record in the trailer down below. You can order the import item over here, while you can find out more about the boutique imprint's other music-themed projects, like a recent Jesus and Mary Chain T-shirt, over here.